Apache Spark provides various APIs for services to perform big data processing on it’s engine. PySpark is the Python API, exposing Spark programming model to Python applications. PySpark is also available out-of-the-box as an interactive Python shell, provide link to the Spark core and starting the Spark context. Since Spark 2.2.0 PySpark is also available as a Python package at PyPI, which can be installed using pip. In Spark 2.1, though it was available as a Python package, but not being on PyPI, one had to install is manually, by executing the setup.py in <spark-directory>/python., and once installed it was required to add the path to PySpark lib in the PATH. Python (2.6 or higher) and Apache Spark the requirements for PySpark. To make the ports accessible i.e. for master and slave/s to communicate. If you already have it installed, you van verify athe version. As mentioned above, Spark can be deployed using YARN or Mesos as cluster manger, but it also allows a simple standalone deployment. Spark can be installed either by downloading and compiling the source code as per the environment, or simply using the pre-built binaries. For simplification we’ll be using the pre-built binaries. For a standalone Spark cluster, all we need to do is place the pre-built Spark binary on each node of the cluster. There 2 main requirements for Apache Spark, Java JRE, and Scala. Note: Spark installs Scala during the installation process, so we just need to make sure that Java and Python are present. Starting version 2.0, Spark is built with Scala 2.11 by default. Execute the following commands on all the nodes, or download the binary on a node, and copy to other nodes. 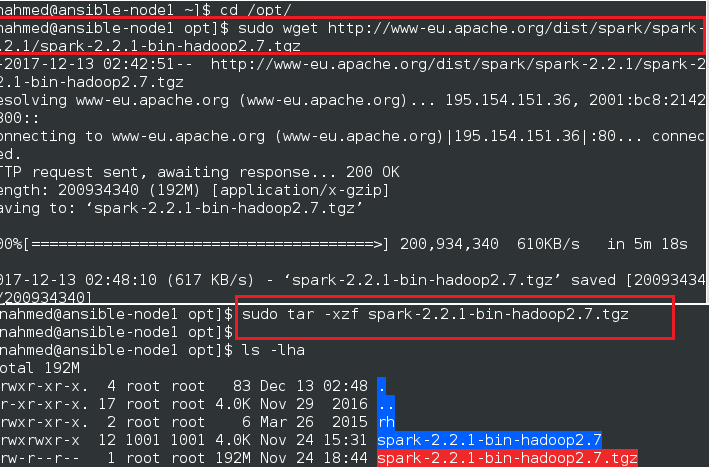 I have used the latest available bin 2.2.1 pre-built for Apache Hadoop 2.7 or later. The standalone Spark cluster can be started manually i.e. executing the start script on each node, or simple using the available launch scripts. For testing we can run master and slave daemons on the same machine (no way recommended for production). Once the master has been started, you’ll see it print out the master url, for other services or slaves to connect to i.e. spark://HOST:PORT. There’s also a management web portal, by default running at http://localhost:8080 – you can also find the Spark master url here. For launching the Spark standalone cluster using the launch scripts, you are required to create conf/slave file inside the spark directory, which must have hostnames of all the machines that you want to be part of the cluster i.e. intend to start a Spark worker. Note: the master node accesses each of the worker machines via ssh. In case you don’t have the key copied to slave nodes, alternatively you can provide the passwords serially, by setting the SPARK_SSH_FOREGROUND environment variable. If conf/slaves does not exist, the launch scripts defaults to a single machine (localhost), which is useful for testing. 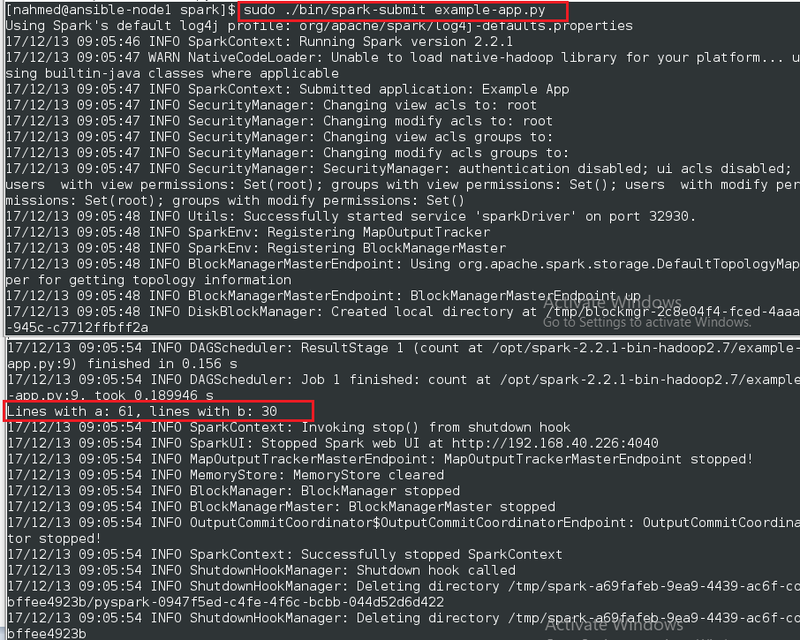 Note: that these scripts must be executed on the machine you want to run the Spark master on, not your local machine. You can further configure (optional) the Spark cluster by setting various environment variables in conf/spark-env.sh file. To get started you can use the conf/spark-env.sh.template to create you env file, and copy it to all your worker machines for the settings to take effect. Apache Spark provides a interactive Python shell out of the box, which is the Python API to access the Spark core (initializing the SparkContext). You can launch it by executing the following command – the script automatically adds the bin/pyspark package to the PYTHONPATH. Spark Context allows the users to handle the managed spark cluster resources so that users can read, tune and configure the spark cluster. Spark Content is used to initialize the driver program but since PySpark has Spark Context available as sc, PySpark itself acts as the driver program. PySpark from PyPI does not has the full Spark functionality, it works on top of an already launched Spark process, or cluster i.e. 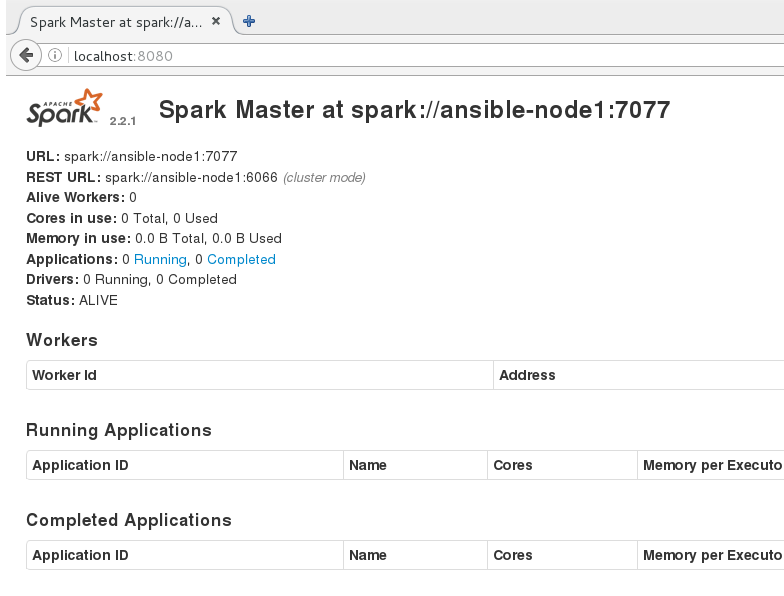 it’s provides an interface for the existing Spark cluster (standalone, or using Mesos or YARN). One main dependency of PySpark package is Py4J, which get installed automatically. I’d recommend to set up a virtualenv, and install pyspark in it.